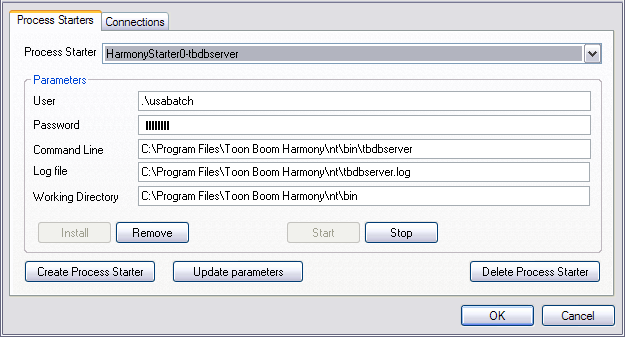 • tbdbserver: When you have a Server/Standalone configuration, this function controls the entries you make to the Harmony database (like adding new scenes to a job). ‣ Command Line: Displays the path of the application you want the process starter to launch. ‣ Log File: Displays the name of the log file that records all the messages from the application specified in the Command Line field.